If you'd asked me one year ago if I'll ever make a remix again, I probably would have said no. But as changing my mind became a personal trademark, I can offer you a finished piece today. 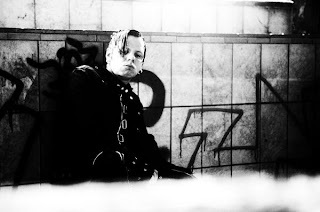 Wynardtage makes dark electro in vein of Suicide Commando and Wumpscut. It was an interesting trip tearing down its concrete industrial walls and building something new from scratch. The result is still dark, but instead of rusty and industrial, it sounds rather cold and futuresque.